Following a knee injury sustained in training by Four-Division Pound-for-Pound Champion Roman ‘Chocolatito’ Gonzalez, former Unified World Champion and #1 ranked Juan Francisco “El Gallo” Estrada, (37-3-0, 25 KO’s), of Sonora, Mexico will now face cross-town Mexican rival Victor ‘Spock’ Mendez, (28-3-2, 20 KOs), also of Sonora, Mexico in a ten-round super-flyweight clash at Undisputed on Saturday, December 8 emanating from the StubHub Center in Carson, CA. The tripleheader will be televised live on HBO Boxing After Dark beginning at 10:20 PM ET/PT. Estrada is currently world ranked #1 by Ring Magazine and #2 by ESPN. He is also world ranked #1 by the World Boxing Council. The 28-year-old Estrada is coming off a dominant 12-round decision over Felipe Orucuta on September 8 at Superfly 3. 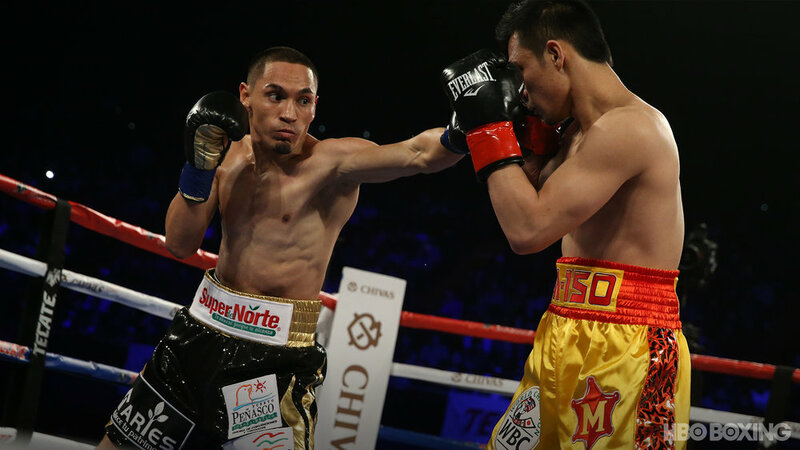 Prior to that, the 28-year-old Estrada challenged WBC Super Flyweight World Champion Srisaket Sor Rungvisai on February 24 at Superfly 2, losing a hotly contested 12-round majority decision in a sure-fire ‘Fight of the Year’ candidate that had the huge crowd at the Forum in Inglewood, CA on their feet cheering throughout. Both fights were featured as the main event on HBO’s Boxing After Dark. Mendez has won nine of his last ten bouts including his last four in a row. Most recently he knocked out Alberto Ascanio in the third round on June 1, 2018. In 2014, he battled current world champion Luis Nery in an eight-round clash losing by very close majority decision. Undisputed is headlined by ‘The First Lady’ Cecilia Braekhus (34-0, 9 KOs), defending her titles against two-time world title challenger, Aleksandra Magdziak-Lopes, (18-4-3, 1 KO), a native of Gilwice, Poland, now based in Marshfield, MA in the televised ten-round main event. Magdziak-Lopes also holds a victory over Braekhus’ recent opponent Kali Reis. Opening the HBO Boxing After Dark telecast, two-time United States Olympic Gold Medalist and Claressa Shields, (7-0, 2 KOs), of Flint, MI faces WBO Women’s Super-Middleweight World Champion Femke Hermans, (9-1, 3 KOs), of Londerzeel, Belgium in a ten-round middleweight world title clash.